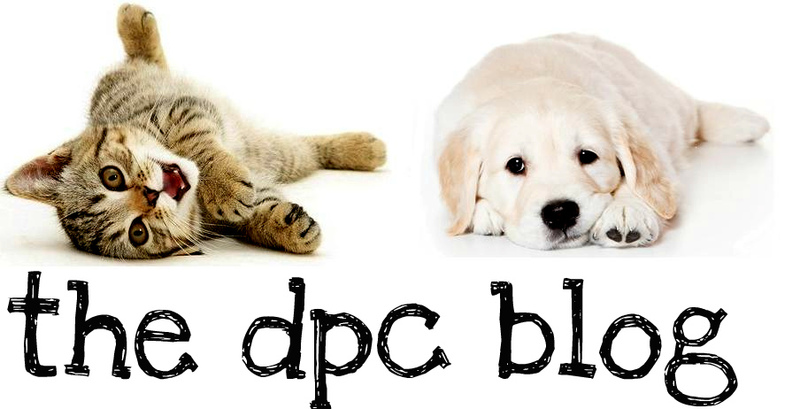 DPC's Blog: It's Hot Out! Here are some tips, courtesy of the ASPCA, on how to keep your pet cool & healthy during the hot, hot summer months! "Even the healthiest pets can suffer from dehydration, heat stroke and sunburn if overexposed to the heat," says Dr. Lila Miller, ASPCA Vice President of Veterinary Outreach, "and heat stroke can be fatal if not treated promptly." According to Dr. Lila Miller, ASPCA Vice President of Veterinary Outreach, "symptoms of overheating in pets include excessive panting or difficulty breathing, increased heart and respiratory rate, drooling, mild weakness, stupor or even collapse. They can also include seizures, bloody diarrhea and vomit along with an elevated body temperature of over 104 degrees." Animals with flat faces, like Pugs and Persian cats, are more susceptible to heat stroke since they cannot pant as effectively. These pets, along with the elderly, the overweight, and those with heart or lung diseases, should be kept cool in air-conditioned rooms as much as possible. Never leave your animals alone in a parked vehicle. "On a hot day, a parked car can become a furnace in no time-even with the windows open-which could lead to fatal heat stroke," says Dr. Louise Murray, Director of Medicine at ASPCA Bergh Memorial Animal Hospital. Also, leaving pets unattended in cars in extreme weather is illegal in several states. Make a Safe Splash Do not leave pets unsupervised around a pool-not all dogs are good swimmers. Introduce your pets to water gradually and make sure they wear flotation devices when on boats. Rinse your dog off after swimming to remove chlorine or salt from his fur, and try to keep your dog from drinking pool water, which contains chlorine and other chemicals that could cause stomach upset. Screen Test "During warmer months, the ASPCA sees an increase in injured animals as a result of High Rise Syndrome, which occurs when pets-mostly cats-fall out of windows or doors and are seriously or fatally injured," says Dr. Murray. "Pet owners need to know that this is completely preventable if they take simple precautions." Keep all unscreened windows or doors in your home closed and make sure adjustable screens are tightly secured. Summer Style Giving your dog a lightweight summer haircut helps prevent overheating. Shave down to a one-inch length, never to the skin, so your dog still has some protection from the sun. Brushing cats more often than usual can prevent problems caused by excessive heat. As far as skin care, be sure that any sunscreen or insect repellent product you use on your pets is labeled specifically for use on animals. 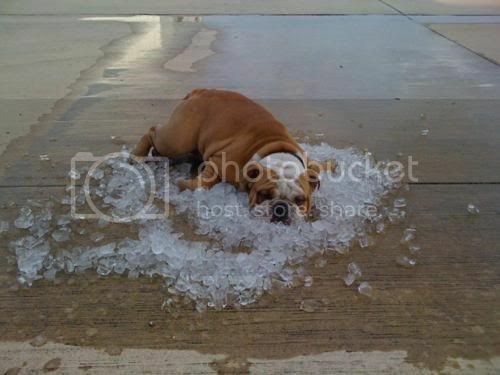 Street Smarts When the temperature is very high, don't let your dog linger on hot asphalt. Being so close the ground, your pooch's body can heat up quickly, and sensitive paw pads can burn. Keep walks during these times to a minimum. Avoid Chemicals Commonly used flea and tick products, rodenticides (mouse and rat baits), and lawn and garden insecticides can be harmful to cats and dogs if ingested, so keep them out of reach. When walking your dog, steer clear of areas that you suspect have been sprayed with insecticides or other chemicals. Keep citronella candles, oil products and insect coils out of pets' reach as well. Call your veterinarian or the ASPCA Animal Poison Control Center at (888) 426-4435 if you suspect your animal has ingested a poisonous substance. Party Animals Taking Fido to a backyard barbeque or party? Remember that the food and drink offered to guests may be poisonous to pets. "Keep alcoholic beverages away from pets, as they can cause intoxication, depression and comas," says Dr. Steven Hansen, ASPCA Senior Vice President of Animal Health Services. "Similarly, remember that the snacks enjoyed by your human friends should not be a treat for your pet; any change of diet, even for one meal, may give your dog or cat severe digestive ailments. Avoid raisins, grapes, onions, chocolate and products with the sweetener xylitol." Please leave pets at home when you head out to any outdoor festivities that may include fireworks; and never use fireworks around pets. "Exposure to lit fireworks can potentially result in severe burns or trauma to curious pets, and even unused fireworks can be hazardous," says Dr. Hansen. "Many types of fireworks contain potentially toxic substances such as potassium nitrate, copper, chlorates, arsenic and other heavy metals."